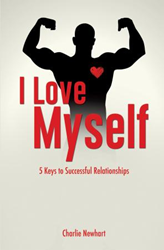 Charlie Newhart’s new book, I Love Myself - 5 Keys To Successful Relationships, ($11.99, paperback, 9781498469227; $5.99, e-book, 9781498469234) shares five important keys to use when creating and maintaining relationships. These keys are not generic but rather incredibly personal to his own life story. As a former addict, he faced many obstacles but he believes that overcoming them is what made him successful. His story proves that when faced with any difficulty, a person has a choice to give in to it or to overcome it and come out better and stronger than before. He believes that just as he did, anyone can face a problem in life head-on. It is Newhart’s hope for readers to connect with each sentence and realize that everyone faces tough times – but what is done during and after the tough time – ultimately determines if a person reaches his or her full potential. He encourages readers to eventually love themselves in a Godly way that spills over into the lives of those around them. Charlie Newhart is an actor, writer, and comedian. He has starred in several commercials, radio spots, plays, and films. Through his production company “Shreve Portal”, he also writes and produces commercials and films. He is a cancer survivor and has lived to tell his stories in a creative way on stage as he delivers laughs and life tips. Throughout the years, Newhart has learned a lot about his book’s topic from experiencing several failed personal and business relationships. He blames having no goals and no plan for those failures. He also had a bout with depression when he gave up on his dreams while working a dead end job. When Charlie reconnected with God and His plan for his life, he wrote down goals and posted them on the wall. He has accomplished several of those goals which in turn has increased his esteem and trust in God. Visit YouTube and watch his hilarious weekly web show #thecharlienewhartshow. Xulon Press, a division of Salem Media Group, is the world’s largest Christian self-publisher, with more than 15,000 titles published to date. Retailers may order I Love Myself - 5 Keys To Successful Relationships through Ingram Book Company and/or Spring Arbor Book Distributors. The book is available online through xulonpress.com/bookstore, amazon.com, and barnesandnoble.com.